If you need diving insurance for a dive holiday in Mexico, World Nomads offers a single policy that gives you both standard travel insurance and comprehensive scuba diving insurance. If you’re planning a trip to go scuba diving in Mexico, you can get diving insurance from World Nomads. World Nomads is one of the leading travel insurance providers and their coverage also includes scuba diving if you select the relevant options while booking it through their website. Diving insurance for Mexican citizens for any diving holiday worldwide is available from World Nomads (with the exception of diving in Mexico itself). You can get an instant quote for diving insurance with World Nomads. Where To Go Diving In Mexico? Playa del Carmen and close by Cozumel Island are known for bullsharks. Socorro Island is a hang out for big pelagic visitors like manta rays. See whale sharks in Isla Mujeres and sea lions at Islan San Pedro. Great white sharks frequent Guadaloupe Island. 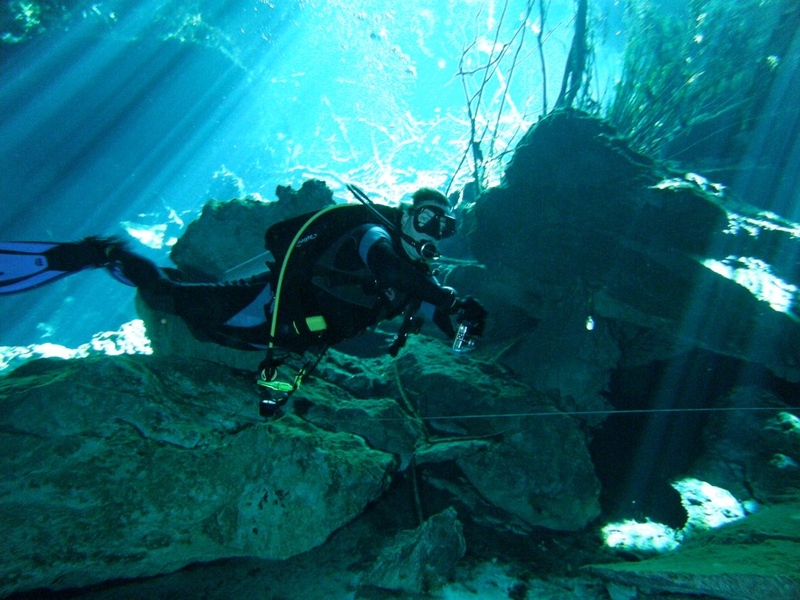 The Tulum region is world famous for its Cenotes (caves). Check Skyscanner to quickly compare the prices and departure times of flights to Mexico between multiple airlines.